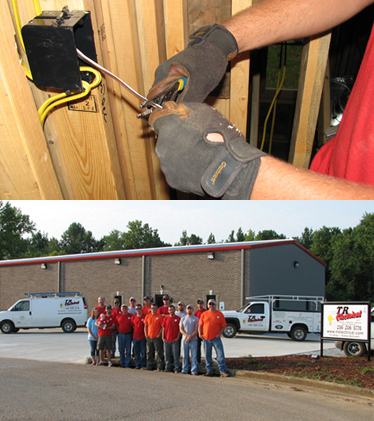 Since 2008, the professional electricians at TR Electrical have been serving residential, commercial and industrial customers throughout the Tennessee Valley. We get it right the first time, delivering the most comprehensive electrical services including installation, upgrade, and repair solutions available. TR Electrical, knowing that our highly trained electricians will treat you, your family, and your property with the respect and attention to safety you deserve. Whether it's hanging a ceiling fan, troubleshooting a problem, wiring a commercial structure, or other electrical services, you can call on TR Electrical. We have the power to make things better.